I dislike bar cleansers (and soaps in general), but Ayuna’s Artisan Soap was a surprise discovery that made me rethink my stance on bar soaps. Its soft foam gently cleanses while keeping breakouts at bay. It’s very cost-effective and lasts for months. Josh Rosebrook Complete Moisture Cleanser was a cream cleanser that didn’t work for me when I tried it a few years ago, but I loved it when I tried it again this year. It is soft, creamy and foams minimally, and I love using it as a second/morning cleanse. Dry and sensitive skin types will fall in love with it. Moss Revele Pore Purifying Emulsifying Cleanser continued to be one of my favourite oil cleansers in 2018. It rinses clean without any residue, and it’s a great way to take heavy makeup and sunscreen off without needing to use cloths and towels. My favourite balm cleanser of 2018 was Mahalo Unveil Cleansing Balm. It spreads well and rinses clean without leaving a film behind. It’s hard to find cleansers that cleanse well without drying the skin, and this delivers on both. Another favourite was Ambar Micellar Cleansing Essence. I went through three bottles of these in 2018, and it’s my favourite way to get rid of makeup and sunscreen after a long day. It’s the only micellar water that doesn’t break me out, and I would go to the extent of saying that it’s one of the best micellar waters on the market, green or otherwise. My top treatment serum this year was Resiliency Face Serum from Earthwise Beauty. Earthwise Beauty rebranded themselves as a luxe, minimalist offering in 2018, and Resiliency Serum was launched as an updated version of their bestselling Carrot-A-Day Serum. Carrot-A-Day was one of my favourite serums of all time, and Resiliency is just as good, if not better. It treats breakouts, de-puffs, hydrates and soothes the skin in one quick step. I can never be without it. My most-used hydrating serum was the In Fiore Sauvetage Care Serum Concentre. Thick and cushioning, this adaptogenic hyaluronic serum restores barrier function and deeply nourishes the skin from within. In Fiore founder Julie Elliot uses half a bottle of this before getting on a flight, and while this is a luxury most of us can’t afford, a dropperful will still give you lasting benefits. Another reparative serum I discovered in 2018 was the La Bella Figura Vitamin D+Ergothioneine Deep Serum. I was confused by it when I first started using it because I wasn’t entirely sure what benefits it offered my skin. However, I soon discovered that it’s fantastic for countering any kind of sensitivity. It’s my go-to serum when my skin feels red or irritated after using highly active products. It is a must-have if you use acids or retinol. Although technically not a serum, my top Vitamin C product this year was Agent Nateur holi(C). A quick-dissolving white powder, this can be mixed with water or water-based products to create a potent brightening Vitamin C serum that does not cause any sensitivity. It’s far superior to Vitamin C powders from brands like True Botanicals, and I’ve already run out of my bottle even though I only got it in late 2018 (a rare feat for me because I have too many products lying around). In Fiore’s Made In Japan line kept delivering powerhouse products in 2018, and their Lumiere Complexe was hands down my most-used face oil. A light, Vitamin C-infused oil, it penetrates quickly to soften and brighten the skin. Unlike most In Fiore products, it is almost scentless and perfectly unisex. Another oil that took me by surprise was Agent Nateur’s velvety holi(oil). It feels rich and substantial but disappears into the skin without any residue. This high-quality oil blend contains Vitamin C and calcium to firm and brighten the skin. Love it! Ayuna Cream Light was a revelation, and it was my favourite face cream of 2018. Airy, nurturing and subtly scented, it deeply hydrates without overloading the skin. When I first saw Inlight Line Softener’s ingredients, I thought it would be a greasy mess—but I was so wrong! It melts into the skin and blurs lines without imparting any oiliness. You only need the tiniest amount, and you can either use it all over your face or as a targeted treatment on areas prone to lines. Aika True Wellness Tri Dosha Eye Elixir was one of my top eye serums of 2018. It doesn’t irritate my eyes, and I love that it’s light enough to be used both am and pm. I tried a number of new exfoliators in 2018, but the Flower and Spice Instant Glow Calming Exfoliator was the clear winner for me. A combination of gentle AHAs and bamboo powder, it offers visible results without irritating the skin. Good green body products are hard to find, and my favourite turned out to be a widely-available option from New Zealand-based Antipodes. I’d never really tried any of their products before, but after trying the Namaste Hand & Body Wash I’m keen to try more from this line (I’ve also already tried their Nirvana body wash, and while I like it, I prefer the lime and black pepper scent of Namaste). African Botanics make some of the best body creams on the market, and their Bois de Santal hand and body lotion smells and feels as good as it sounds. It’s deeply nourishing without being greasy, and its intriguing sandalwood/neroli/geranium is perfectly unisex without being overpowering. Osea Undaria Body Polish was one of my favourite body scrubs of 2018. It’s creamy, scrubby and retexturizing. One of my favourite things about this scrub is that it doesn’t leave an oily residue unlike most other green body scrubs. In Fiore Calendula Solution Botanique took my breath away in 2018 with its sweet chamomile-calendula scent; and I love it just as much as the Comfrey, which was one of my top oils of 2017. Light, calming and nurturing, it feels like zen in a bottle. I don’t use makeup/foundation on a daily basis, but I was so impressed with the finish of Sappho New Paradigm CC Cream when I discovered it in a Beauty Heroes limited edition discovery. It feels muddy when you dispense it, but it disappears into the skin without any caking when you blend it in. My only compliant is that the formula tends to separate (I raised this with the brand, and they provided a very unhelpful response indicating that they are yet to perfect their formula for darker shades), but I’m willing to overlook this negative just because it works so well for my skin type and tone. I did discover some amazing products in December (Ayuna The Facial being one), but I’ve restricted this list to products I discovered until November just to make sure they’ve been tried and tested thoroughly before making it to the list. 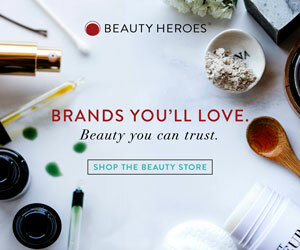 There were product categories that didn’t really evolve in 2018 (SPF and haircare are good examples), but overall, it was a fantastic year for green beauty. Disclaimer: All views are my own. Some links are affiliate links.